Sparks is a powerful and proven monitoring and analytics platform that helps business managers improve ROI. Make informed decisions with real time data. We combine immediate real time data with rich historical data to help answer the toughest questions about retention, growth, and engagement. Everything we could ask for and more. Monitor and measure performance in real-time. 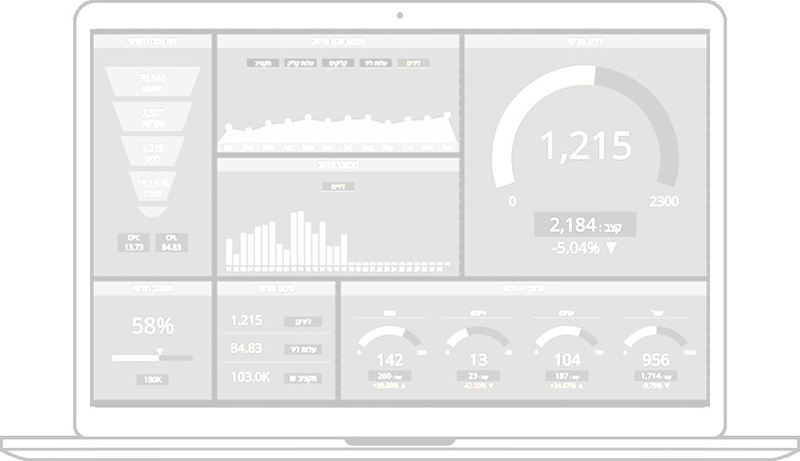 Track all your business KPIs in one place. Gain predictive insights using our analytical engine. Display live dashboards on a TV in your own office. Get notified about what is and isn't working. Receive personalized reports based on your goals. Sparks helps companies drive cross-channel marketing campaigns and increase ROI. Equipped with an analytical engine Sparks provides performance monitoring capabilities and predictive actionable insights. Sparks offers a tailored solution that can be aligned to any KPI and custom business goals. Sparks is a part of Webnext Group Ltd, an innovative digital technology agency based in Tel-Aviv.